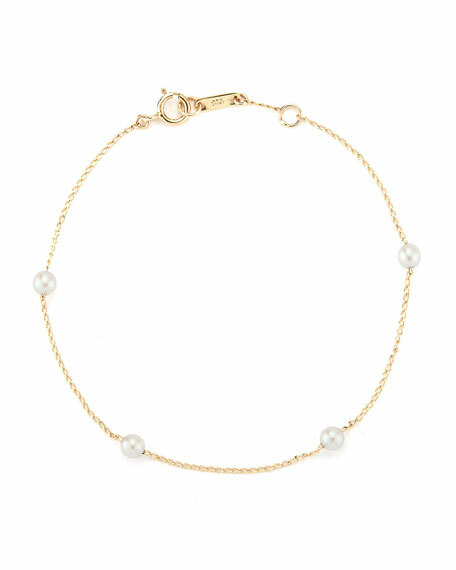 Four Akoya pearl bracelet from Mizuki. Naturally hued Akoya cultured pearls. For in-store inquiries, use sku #2565511.